Home /China, Taiwan/Does Trump Spell the End for Kissinger’s China-U.S. Strategy? The Dec. 2 phone conversation between U.S. President-elect Donald Trump and Taiwan President Tsai Ing-wen (蔡英文) may signal Washington’s longstanding approach to Taiwan and China, developed by Henry Kissinger, could be drawing to an end, a visiting academic in Taiwan says. 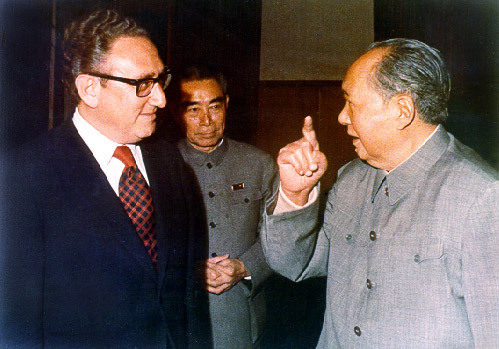 The rapprochement between the U.S. and China during the 1970s was spearheaded by Kissinger, who served as national security advisor and secretary of state under President Richard Nixon, and continued in the latter role under Nixon’s successor, President Gerald Ford. “To Nixon and Kissinger the overarching geopolitical significance of a relationship with China justified eliminating all intervening obstacles,” late historian Nancy Bernkopf Tucker said in an analysis of Sino-U.S. relations of the 1960s and 1970s, published in The Journal of American History in 2005. Friday’s phone call marks a major break with convention. China has for decades blocked formal relations between the U.S. and Taiwan; the 10-minute conversation was the first time a president or president-elect of the United States directly contacted the leader of Taiwan since 1979, when formal diplomatic ties between the United States and China were established. Since then, China has also blocked Taiwan’s participation in the international sphere, exercising its effective veto power over many facets of Taiwan’s bilateral dealings with other countries. Bill Sharp is an Asia expert and a visiting scholar at the Institute of Taiwan History at Academia Sinica in Taipei. He told The News Lens International the Trump-Tsai phone call may reflect that the U.S. position on China developed by Kissinger – under which the U.S. accepts no formal diplomatic ties between it and Taiwan – is seen as “passé” in some circles in Washington. Sharp points to the changing nature of geopolitical allegiances in the broader region, noting U.S. allies Malaysia and the Philippines have recently made significant overtures of friendship to Beijing. That “hardening,” he says, may be related to the “thinning stable” of reliable U.S. allies in the region. He also notes that some of Trump’s close advisors are also known to be friendly towards Taiwan and hard on China. While China’s response to Trump’s break in U.S. diplomacy has so far been measured, it would not be without precedent for a wounded Beijing to squeeze Taiwan’s China-dependent economy in the wake of the call. China is Taiwan’s largest trading partners with 40 percent of Taiwan’s exports are shipped across the Taiwan Strait to China, Hong Kong and Macao. 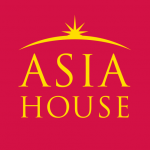 “When European governments or Australia, for example, met the Dalai Lama or undertook other actions that displeased Beijing, their companies felt repercussions through regulatory investigations, loss of procurement opportunities, and the like,” Ross D. Feingold a senior advisor at DC International Advisory, a consultancy that advises clients on political risk in markets across the globe, told The News Lens International. Sharp, sees the phone call as “pretty positive” for Taiwan and suggests there could be significant upside if the Tsai administration can leverage closer ties with the White House. That could see the U.S. progress more weapons sales to Taiwan, hold higher-level military and cabinet-level visits and pursue greater economic integration. On the latter, Sharp flags the possibility of a bilateral investment agreement (BIA) to be inked. There are signs that such an agreement would have support in the U.S., too. In 2013, the American Legislative Exchange Council (ALEC), a conservative group which develops model policy positions and made up of thousands of state legislators, released a resolution urging the presidential administration to sign a bilateral investment agreement with Taiwan. Last year, the U.S.-Taiwan Business Council likewise called for the “fast-tracking” of the signing of an agreement. On arms sales from the U.S. to Taiwan, there is commonly-held perception that the U.S. has been restricting sales of weapons to Taiwan. William Stanton, Director of the American Institute in Taiwan (AIT) from 2009 to 2012, recently noted, however, that the barrier to more weapons sales from the U.S. has been Taiwan’s budget constraints, rather than unwillingness on the part of Washington. “During the three years I was at AIT, we did two major arms deals – worth over US$13 billion – which actually exceeded any previous single administration,” he told ICRT last month, adding there has since been another sale valued at US$1.83 billion. “One of the biggest problems has been that Taiwan hasn’t had the budget” and Taiwan was still trying to “absorb” the weapons bought in earlier purchases, he said. Stanton also suggested that a “huge part” of the military cooperation between the two countries is via training in Taiwan and the U.S., and is mostly “unseen.” The U.S. has “remarkably large” numbers of military advisers and officers helping the Taiwan military, he said. While both parties say that Tsai called Trump, there is speculation the call was orchestrated by Trump’s team. Since the call, Trump’s aides have played down its significance. “Look, we’ve got a lot of problems to solve in this country and we’re not going to solve them by just, you know, making believe that people don’t exist,” Trump’s incoming chief of staff Reince Priebus told CBS News. “This is not a massive deviation of our policy, but President [-elect] Trump has made it clear that he is going to work with China –PRC – to make sure that we have a better deal, that we have better trade agreements, and that we do a better job in protecting the American worker and he’s going to continue to do it,” Priebus said. Priebus also noted that Trump spoke directly to Chinese President Xi Jinping (習近平). Interestingly, Kissinger, 93, met with Trump in New York on Nov. 17, with the discussion covering China among other international issues. Kissinger was then back in China late last week. On the same day Trump talked to Tsai, he met with President Xi . “Kissinger told Xi that he believes it is the expectation of the U.S. new administration to facilitate sustained, stable and better growth of U.S.-China relations,” Chinese state media reports. In the past day, Trump has again been active on Twitter, responding to criticism of the call. Edward White is an International Editor with The News Lens International. This article was first published on the News Lens International and can be found here. Image credit: Wikipedia Commons.